We all fight multiple battles almost every day. Some of those take place in the courtroom or outside it, at home, maybe between marries couples. Many also fight real wars that take many lives. Sadly, this is the cycle of life, and many of us have to go through this day after day. And even more, in some parts of our world, in the 21st century, people fight for some of their basic rights such as clean water to drink. Can this be avoided? Perhaps. In many cases, it takes dedicated and passionate activists to stand up against big corporations and voice their protests. The documentary “Unfractured” by Chanda Chevaness tells us a story of such campaign. The movie begins in the month of June and the opening scene gives us an important piece of information – natural gas resources lie in the bedrock of New York State. There is one way to extract it – fracking (Hydraulic fracturing – a technique in which rock is fractured by a pressurized liquid). For the entire drilling process, water and toxic chemicals are used, as a result of which, the drinking water is polluted. While the local government reviews all the concerns and collects materials to study the case, a biologist and activist names Sandra Steingraber – like a superheroine from Marvel universe – gathers all the scientific evidence, presenting it to the government as well as the public. It is her mission now to continue her tireless fight to make the world more unfractured. Being a wife and a mother, Sandra has her personal issues to deal with. However, her personal troubles become less important, when she starts believing that a natural gas extraction process generates the toxic chemicals that threaten the environment and the health of people. Having spent thirty-five years in countless protests to get the fracking banned, Sandra makes a perfect role model. Seeing her fight with the whole heart, you won’t stop admiring her for such inspiring action filled with respect and love for humanity. Within “Unfractured”, the director Chanda Chevaness takes the viewer to Romania as well. We see that the problem with contaminated water is not limited to New York only. In fact, many countries have the same issues, and we are provided with a full list of those countries in the end of the film. In conclusion, this is an incredible story, where the beauty of activism is transformed into a whole new level, proving that any battle against a big corporation can be won by uniting people. 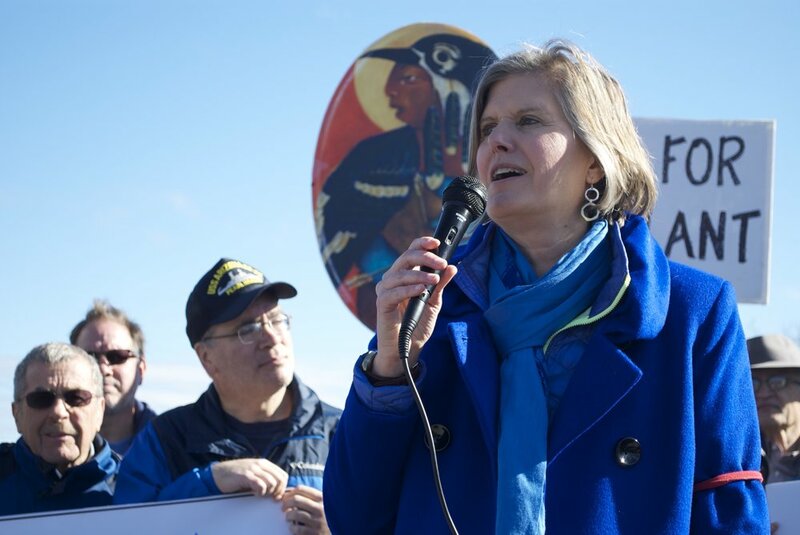 With her leadership skills, Sandra Steingraber is able to unite hundreds of people in one logical and concise voice that leaves no chances to anyone to ignore them.